This is my first post and I wish to share intersting facts and issues in my city. We have heard so much of the garbage dump not cleared in time. But has anyone observed the over flowing of drainage water in most streets around Bangalore. Why is there not enough concerns/ voice raised against the waiting to disaster epidemic. I get splashed every morning by overflowing of sewage water while getting to work. The roads are flooded with gushing water until 12 noon and it is forgotten that it repeats next morning. School kids walk on sewage water to board the bus in GM Pallya main road. It has been over flowing from a year now and yet no action taken. A sleeping giant Bruhat Bengaluru Mahanagar Palike wake up. Please vote to stop this menace. Congratulations for the first blog post. Sewage water flowing in storm water drains is a much discussed issue in Praja. you may like to scan my earlier posts on the sublect. The reason is the inadequecy of sewage lines to cope up with the load up stream. The over flowing sewage water finds its way to the storm water drains. Mind you this is done deliberately, to avoid sewage warter flowing on the roads instead!!! Picture 1. 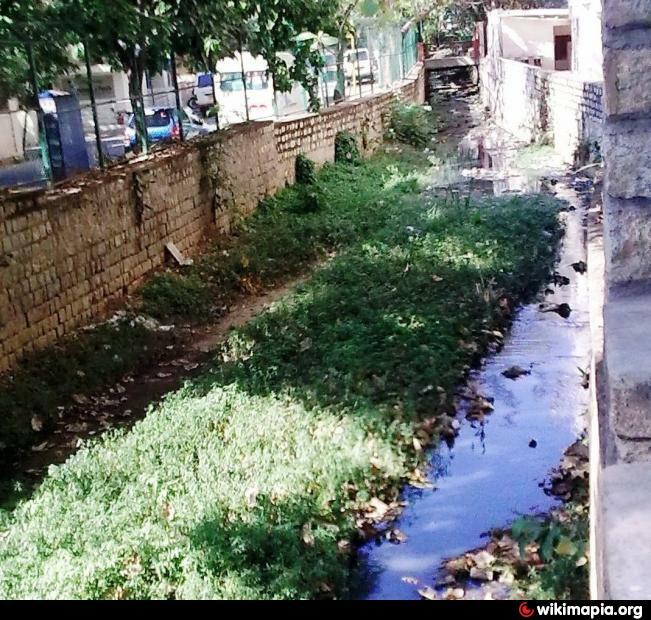 The strom water drain running along side Miranda school on Jeevan Bima Nagrar road. The water flowing is sewage water let in upstream of the drain. Incresing the capacity of the sewage lines is a costly affair. Diverting it to existing storm water drains is an inteligent solution [crime?]. The sewage water in the above picture, ultimately ends up in Bellandure lake. You may like to have a look of an earler project [Click here] of mine on the B lake for a complete understanding of the issues involved. Click here and here for the map location and deails !